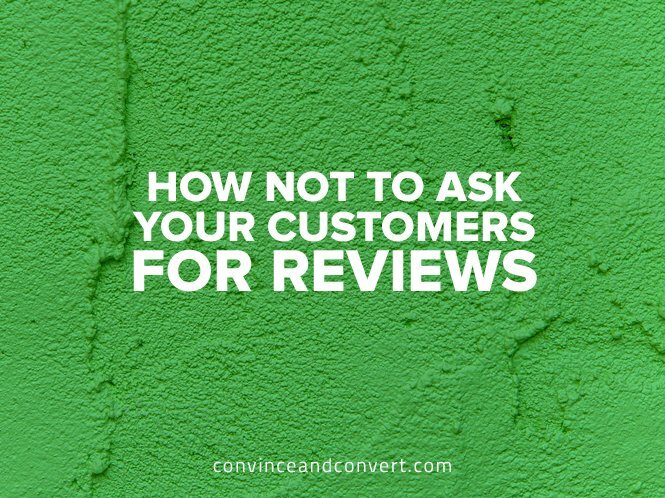 It‘s good business to ask your customers to provide reviews, as long as it isn‘t too aggressive or a quid-pro-quo. There‘s a fine line between encouraging reviews and demanding them. Even Yelp, which, without a steady stream of new reviews, would be as useful as a knife and fork in a hot dog eating contest, discourages businesses from overtly asking for reviews. Last week I was in Puerto Vallarta, Mexico hosting the annual retreat for my team at Convince & Convert and their significant others. This is a great tradition where we figure out what we’re doing for the year, and celebrate the prior year. We stay all together in an enormous villa, which is great for margarita drinking team-building. This year we went to dinner one night at Le Kliff, a breathtaking waterfront restaurant south of the city. 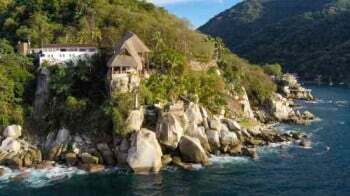 One of the most spectacular places I’ve ever been, the entire place is a giant palapa on a hillside. No doors. No windows. No walls. I was gobsmacked. What a brilliant method of encouraging your staff to solicit reviews in a human way! 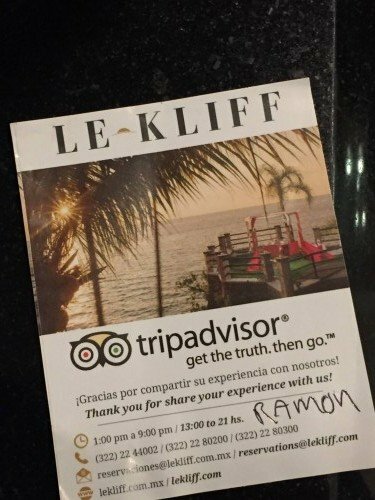 I would probably have reviewed Le Kliff anyway, because it is so extraordinary, but when Ramon asks us personally because it will benefit him personally, the psychological impact of that appeal is quite powerful. And then he gave each of us – all 20 – a small card with his name on it, with the TripAdvisor logo, and contact information for Le Kliff. I really, really wish I had experienced this last year, as I would have included Ramon in my new book, Hug Your Haters. Speaking of which, the book is available for ordering now at HugYourHaters.com or Amazon. Remember though, there is a line that shouldn‘t be crossed when it comes to demanding reviews. It can even be illegal to do so. In April 2015, the United States Federal Trade Commission settled a case with Amerifreight, a Georgia-based vehicle shipper. The settlement also required the company to stop using terms such as “highly rated” and “top ranked” in its advertising. The firm charged customers an extra $50 if they did not write an online review of the service at transportreviews.com, and removed the $50 charge if a review was written. Customers who wrote reviews were also entered into a “best monthly reviews” contest. Compensating customers for reviews without disclosing that information is a violation of the FTC‘s online marketing guidelines first released in 2009, and updated in 2013. The best practice is to do it Ramon’s way: let customers know you participate in review sites, and that you care about their feedback, however and wherever they choose to provide it. But charging customers who don‘t write you a review is half-pushy, half-stupid, and wholly illegal.